Survival of the Fittest - The auto insurance business is very competitive, and everyone wants your business. Most companies are willing to give you a discount if you switch to their coverage. You might even be able to use a competitor’s offer to bargain down what you pay with your current insurer. New Perks - Buying a new car? If you're insuring a new automobile, then you will pay less for a year or two of coverage. 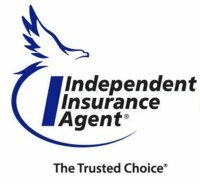 Many people aren't aware of the discounted rates of new car insurance, and actually believe insurance costs are higher, but new cars cost less to insure. One Stop Shop - If you have more than one insurance policy with a company you may be eligible for a significant discount. Consider putting your automobile and life insurance with the same company to get a nice discount. Compare fast FREE 1-800-530-5822 www.cloverleafins.com auto insurance quotes and save hundreds on your car insurance!